Venetica Tours offers transportation solutions by boat. For individuals, we provide boats carrying up to 10 persons and 12 suitcases taking you quickly and directly to your destination in Venice. On request you can also enjoy a longer boat transfer cruising the Gran Canal admiring the most striking places of Venice, such as Rialto Bridge, Gallerie dell’Accademia, Chiesa della Salute, the Peggy Guggenheim Museum and many more. For groups and incentives, Venetica Tours arranges transportation with Grand Tourism Motorboats that carry from 64 to 220 passengers. This is the ideal solution for group transfers within Venice Lagoon and for pleasant tours cruising along the islands of Murano, Burano, Torcello and other islands of Venice, which are less known but nonetheless authentic and very beautiful. 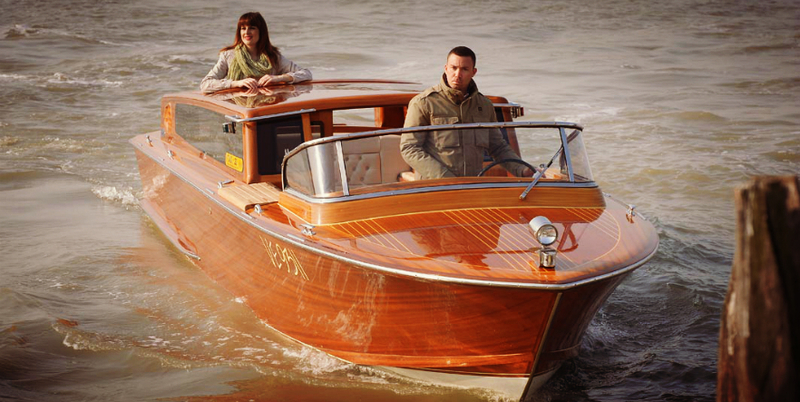 Contact us for more information on our boat transportation services in Venice.